The curriculum for this course will focus on technique, complications, and live injection demonstrations of Dr. Devgan’s signature approaches to neurotoxins, deoxycholic acid, lip augmentation, cheekbone augmentation, jawline augmentation, chin augmentation, tear trough augmentation & nonsurgical rhinoplasty. This course will be 100% live demonstrations of all major techniques. Every live injection demonstration will be performed by Dr. Devgan. Please note refunds will be subject to a minimum 20% administrative fee plus any surcharges imposed if payed by credit card. All refund requests must be in writing. Please note, refunds can take up to 30 business days to process depending on payment type. No refunds will be granted after March 1, 2019 and no exceptions of any kind can be made. 100% of participants said they found the course educational and would recommend! "BUILDING AND REFINING YOUR AESTHETIC PRACTICE"
The purpose of this course is to gain an improved understanding of the metric basis of beauty, beauty theory, facial anatomy, injection techniques, optimizing patient safety and outcomes, avoidance of complications, management of adverse events, and global facial rejuvenation. This course will focus on facial anatomy for the injector, emergencies, complications, and management of undesirable outcomes, and the metric basis of facial beauty. Course material will focus on injection techniques related to: neurotoxins, deoxycholic acid, hyaluronic acid fillers, non-HA fillers, and on-label and off-label techniques used to improve the appearance of the undereyes, nose, lips, cheekbones, jawline, neck, profile, and overall facial appearance. While this course will discuss basic strategies for those who are just starting out, it will also cover expert injection techniques, such as tear trough augmentation, non-surgical rhinoplasty, and finesse use of injectables that could benefit advanced practitioners. During breaks, there will also be an opportunity to discuss media, marketing, practice development strategies, and press, for practitioners interested in continued growth in those arenas. This course will include live injection demonstrations performed by Dr. Lara Devgan. UNLIKE PRIOR MASTERS CLASSES, THIS COURSE IS ALL LIVE DEMONSTRATIONS TO OPTIMIZE LEARNING & TECHNIQUE INTEGRATION. This course is open to all level practitioners, including physicians (MDs, DOs), international professionals, nurses (NPs, RNs), physician assistants (PAs, PA-Cs), dentists (DDS), residents, fellows, and students. Participants will receive a certificate of completion of 8 hours of training in muscular, vascular, and nervous anatomy of the face, management of adverse events and complications, comprehensive aesthetic facial analysis, patient safety, and basic and advanced techniques in neurotoxins, dermal fillers, and deoxycholic acid. The curriculum and references for our course are located in a password-protected gallery here. The password will be provided to course registrants in advance of the course date. This course will be held at the Griffis Faculty Club at Weill Cornell Medical College, 521 East 68th Street., New York NY. The Griffis Faculty Club is the official faculty club of Weill Cornell Medical College and New York Presbyterian Hospital, named New York’s #1 hospital. This elegant and sophisticated meeting place is the perfect setting for an intimate seminar style course. Participants may enjoy discounts of 15-30% at the following hotels: The Affinia Gardens, The Surrey, and New York Presbyterian Guest Facility. 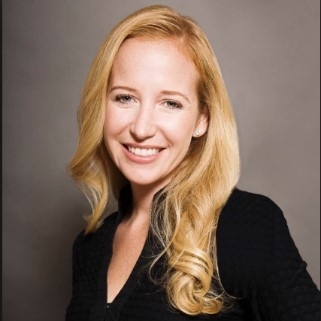 When booking via phone, please mention that you would like the discounted rate for Dr. Lara Devgan of Lenox Hill Hospital. For NYP guest facility use code: beauty metrics. Dr. Devgan is the plastic surgeon of choice of some of the most savvy and discerning patients in the world. She has a unique and specialized process of performing a detailed facial analysis and creating a comprehensive consultation experience for the patient. These two facets of patient care allow her to come up with an appropriate and safe treatment plan for the patient, and they facilitate a high satisfaction rating in her patients' experiences. Learn how to integrate Dr. Devgan's metric technique and anatomy-based approach, as well as her pearls on optimizing patient experience. Dr. Devgan's non-surgical rhinoplasty and tip flip have become an industry standard and gone viral online many times over. Her non-surgical buttock augmentation has drawn some of the most famous figures around the world. Her tear trough augmentation and cheekbone sculpting were selected to be featured in the New York Times. And her lip augmentations, neurotoxin injections, and other injectables have drawn a patient population from 6 of 7 continents. Learn the nuances, tips, and tricks behind Dr. Devgan's most popular non-surgical procedures and how they can be safely integrated into your practice. Without any paid PR, Dr. Devgan has become one of the most powerful voices in the aesthetic industry. With a strong social media presence, and traditional press coverage in the New York Times, ABC, CBS, World News Tonight, The Doctors, Harpers Bazaar, Allure, Self, Shape, The Guardian, Time Magazine, New York Times Magazine, Avenue, and more, Dr. Devgan has a broad and loyal following. Learn how to build your brand identity, effectively communicate it to your patient population, and develop your social media presence. 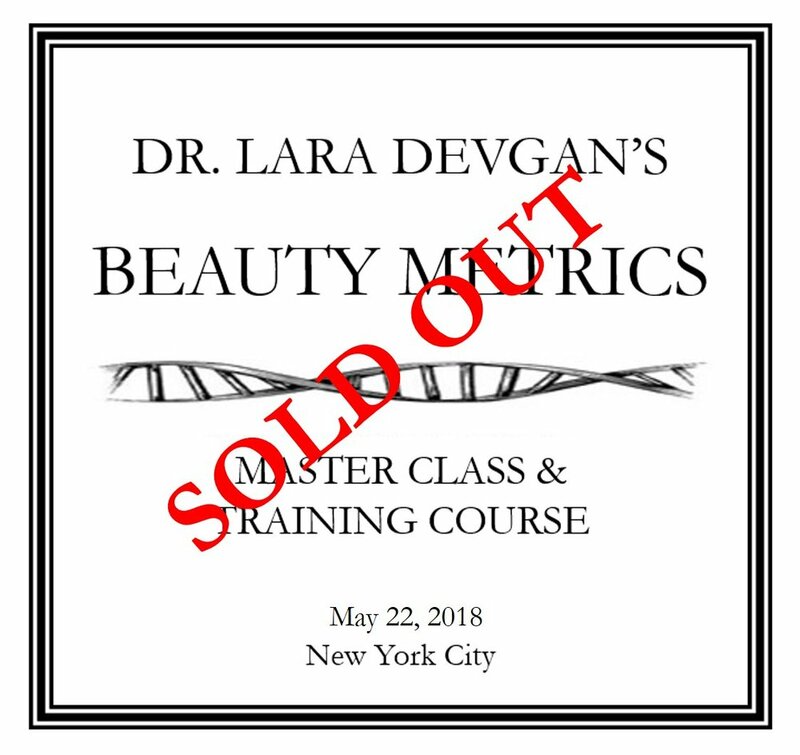 An 8-hour seminar style course covering Dr. Devgan's signature metric-based techniques in facial and body injectables, facial anatomy, beauty principles and theory, patient experience, the consultation process and facial analysis, social media, marketing, and press. This course is appropriate for many different levels experience. Live injection demonstrations will aid in learning. Suitable for physicians, surgeons, dentists, nurses, physician assistants, nurse injectors, residents, and fellows. REGISTRATION for Saturday, MARCH 30, 2019 is Now live, below.